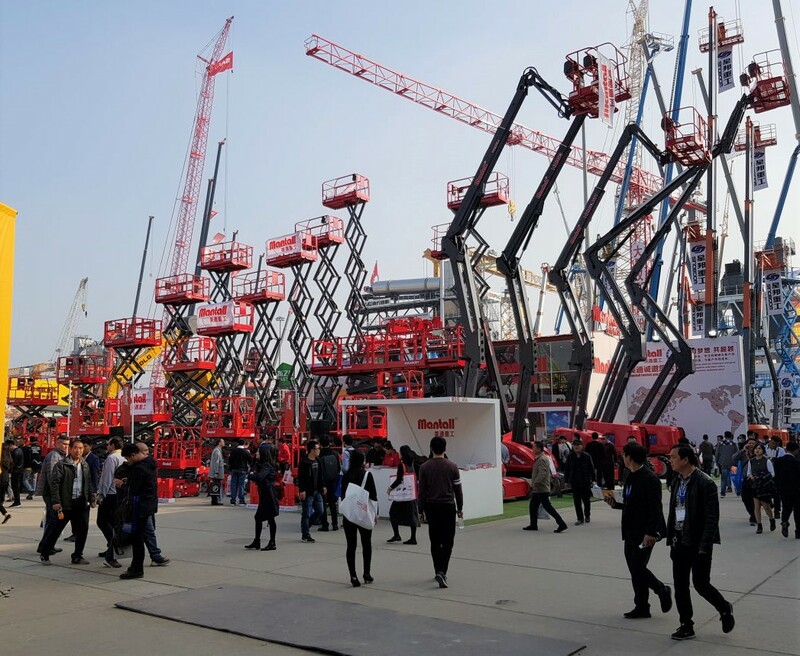 I was at the Bauma exhibition in Shanghai last week. 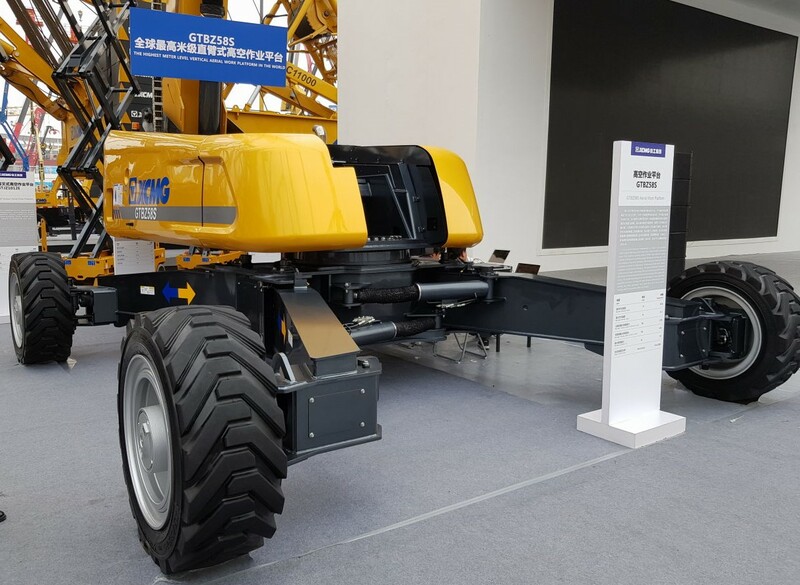 The scope and quality of the XCMG display took a big step up this year. 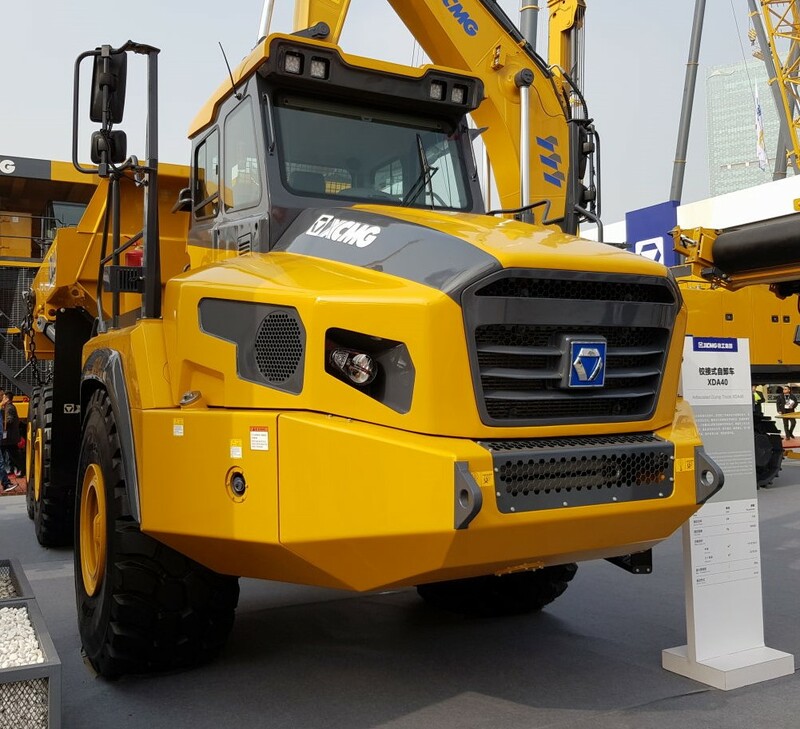 The star of the show, XCMG’s 700 tonne excavator. 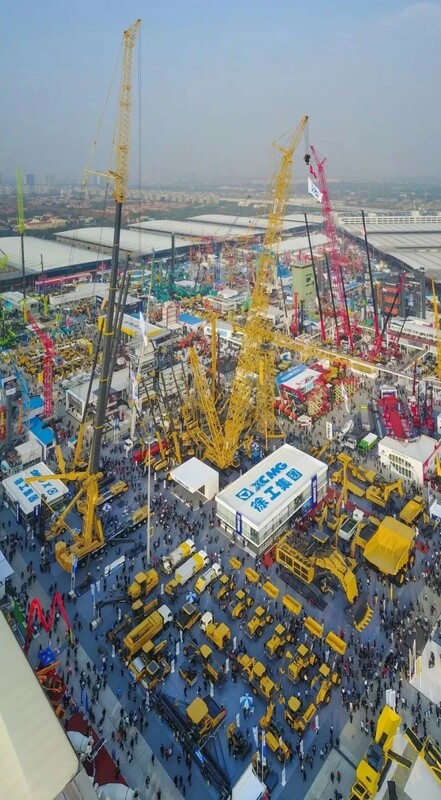 The largest all terrain crane in the world is a little hard to get in a picture. 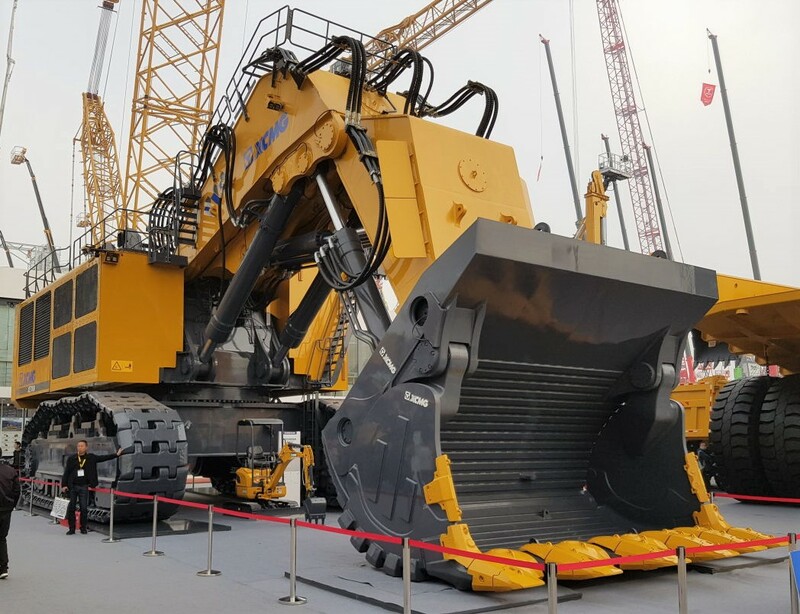 This 1600 tonne lift machine was sold at the show. More models in the “9” series were released. 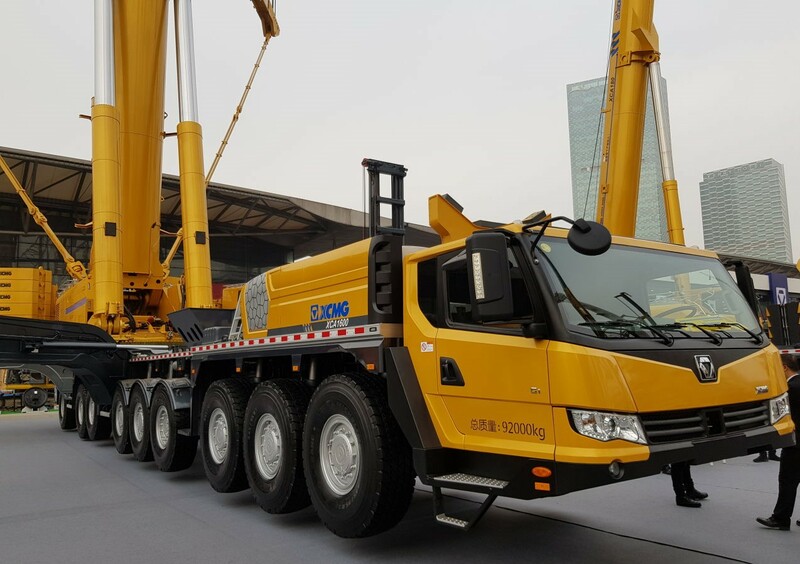 These are the highest specification loaders XCMG make with tier V engines, fully automatic transmissions and built in weigh systems. 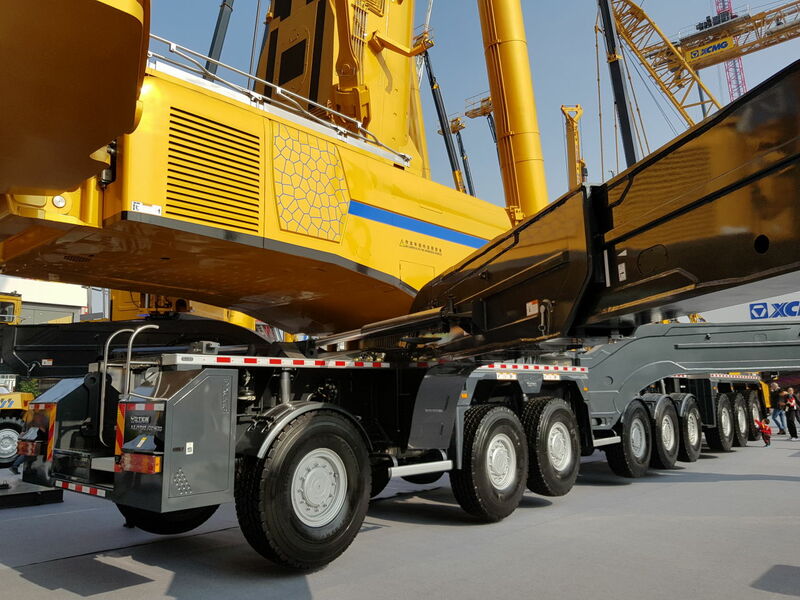 There is also a memory function where the booms maximum and minimum height, as well as bucket angle can be repeated for subsequent loads. 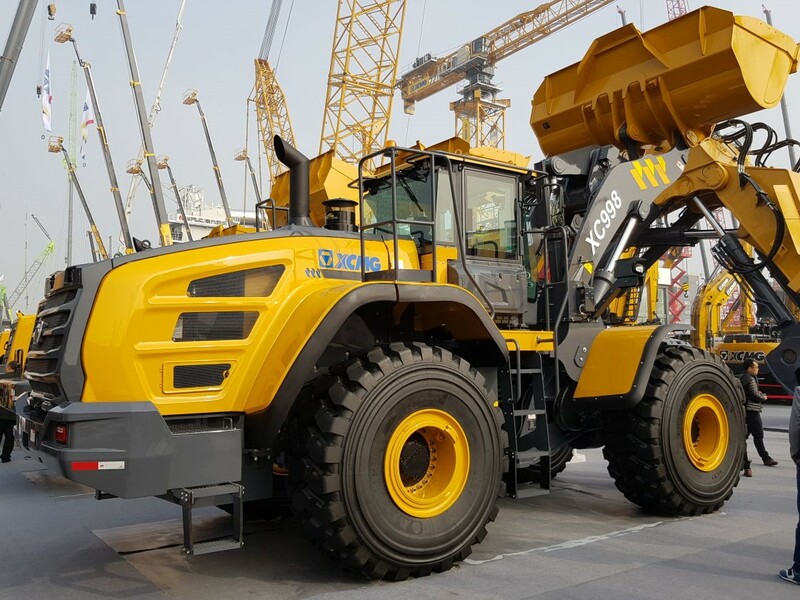 The XC938 is the eleven tonne version with a 2m bucket. 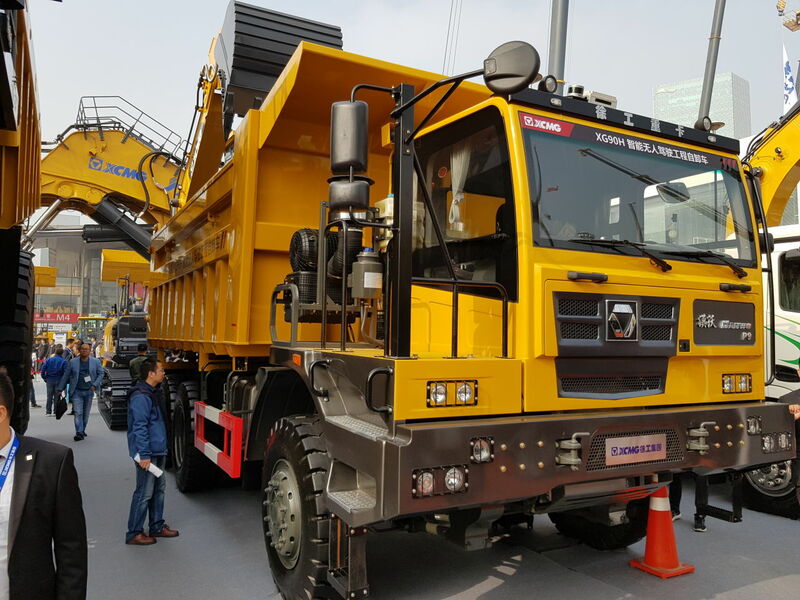 The XDA40 articulated dump truck has a funky new look to go with the 8 speed transmission. 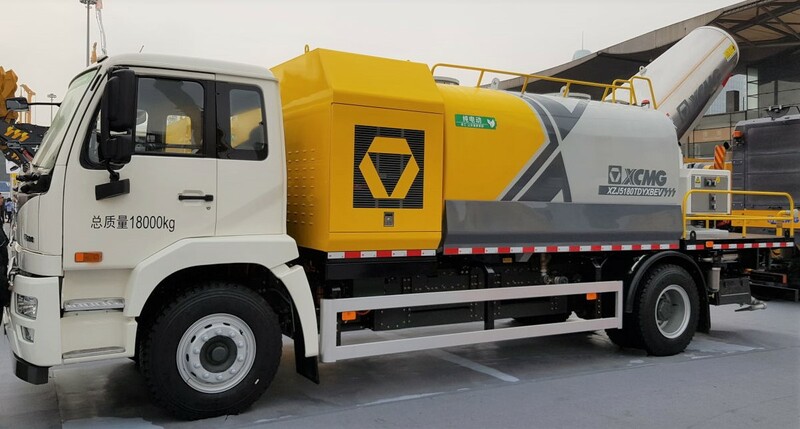 The first 18 tonne GVM fully electric trucks set up for dust suppressing and sweeping with massive 385kWh battery banks. 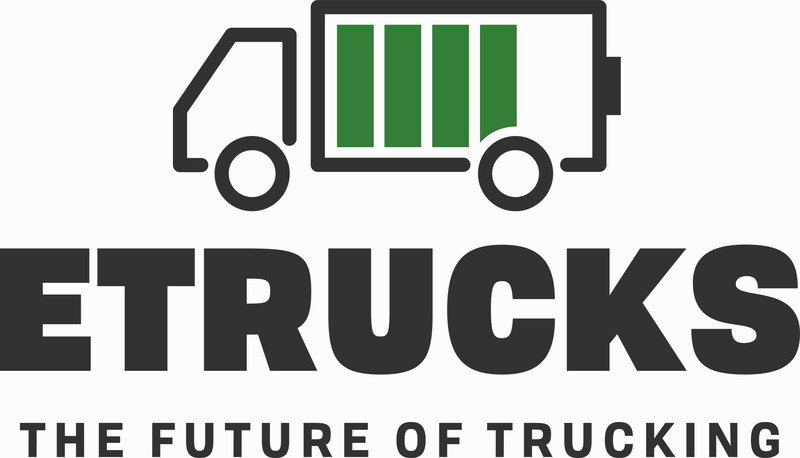 The truck features two brake pedals, one for regeneration only, the other for regeneration plus the standard ABS system. 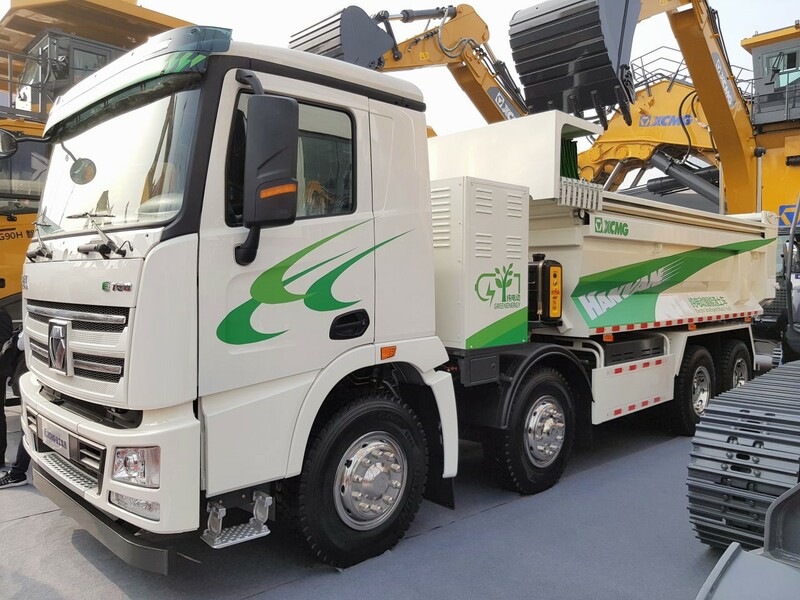 The E700 8×4 fully electric set up as a covered tipper or “muck” truck as they call them in China. The E700 senses lane departure and other driver fatigue indicators and it will shut down if you run a red light. It has a seven speed automatic transmission and a duration of 280km. 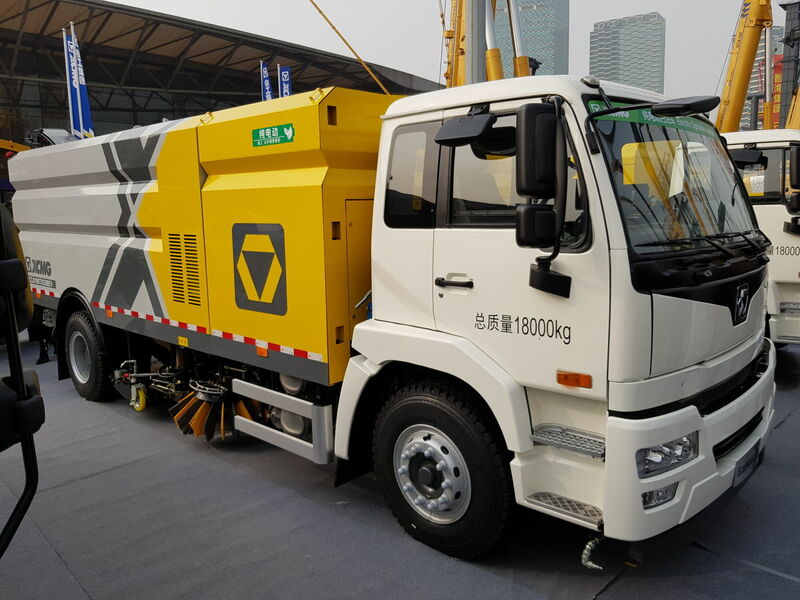 The 90 tonne mining truck features a new cabin design. Not sure why as it is fully autonomous. What’s more it is intelligent in that it remembers the terrain of the loop and will change down in anticipation of an upcoming slope on each subsequent lap. 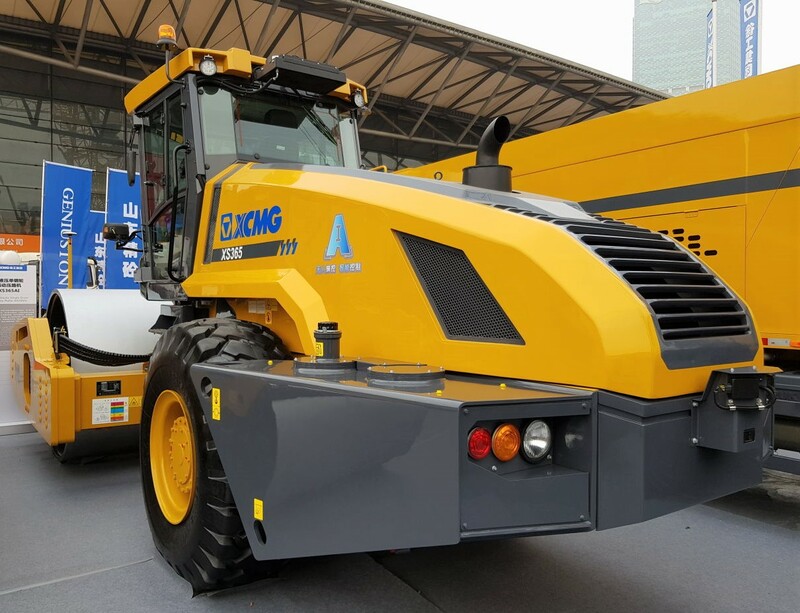 The 36 tonne single drum roller now also has autonomous functions including obstacle avoidance. 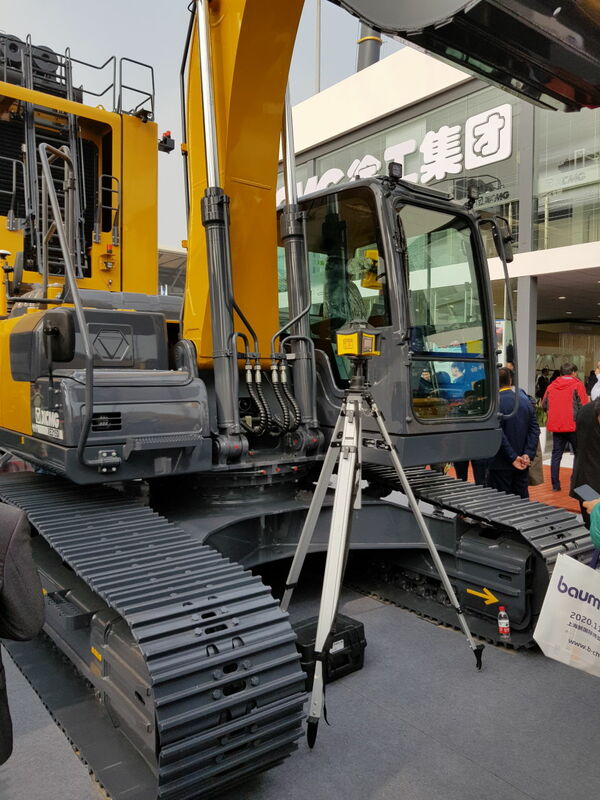 While far larger than usually seen in New Zealand, this is a very popular model in China. 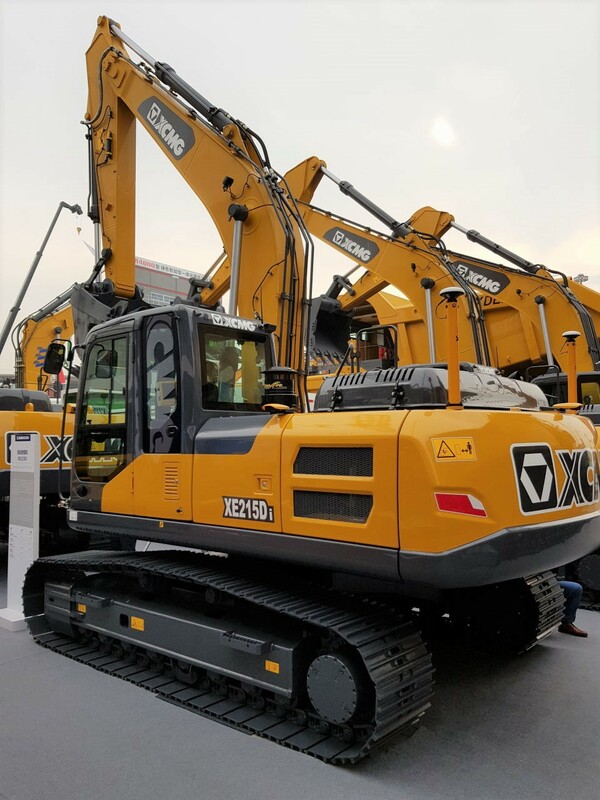 The excavator range featured the intelligent operation XE215Di which has 2D slope finishing and 3D construction excavation modes. The info is displayed in real time on the 10 inch display so the operator can work without a survey crew. 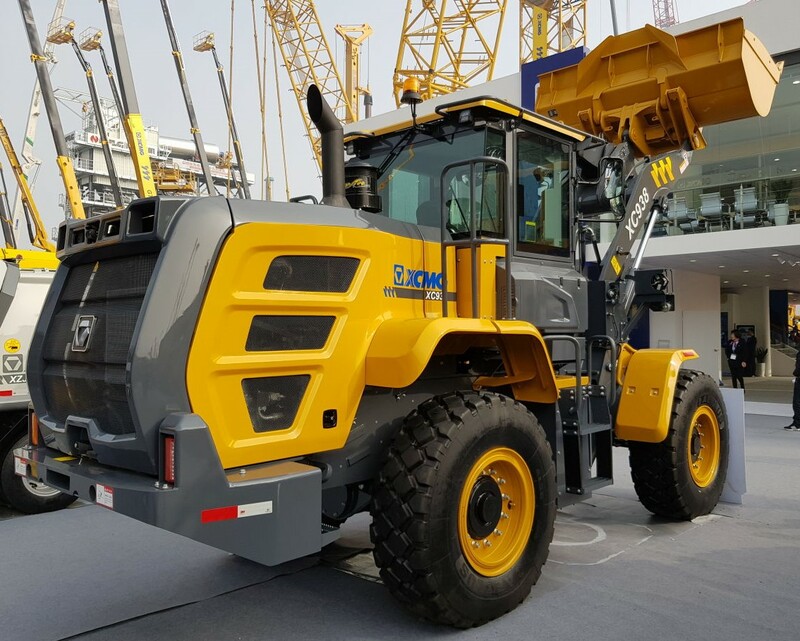 The 70 tonne rough terrain has been re designed with a smaller chassis to allow a 6.5m turning circle. 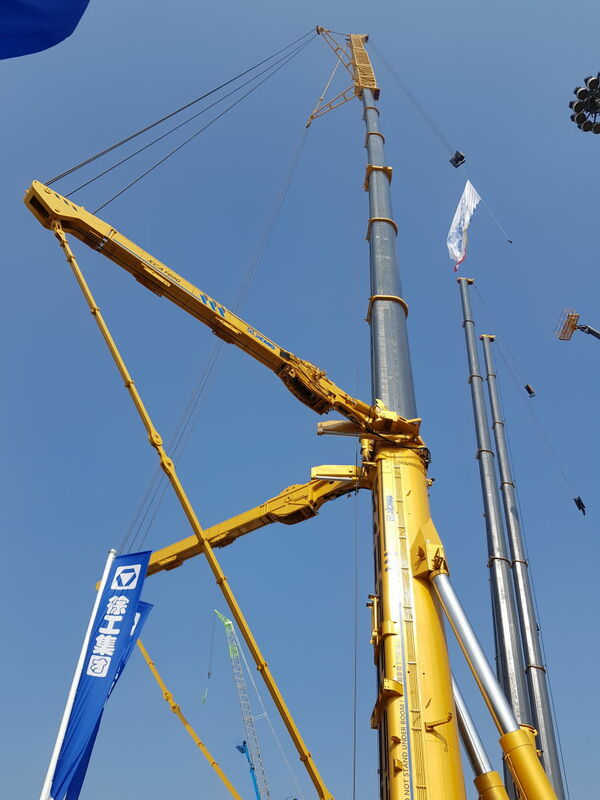 The five section boom now has 45m reach. 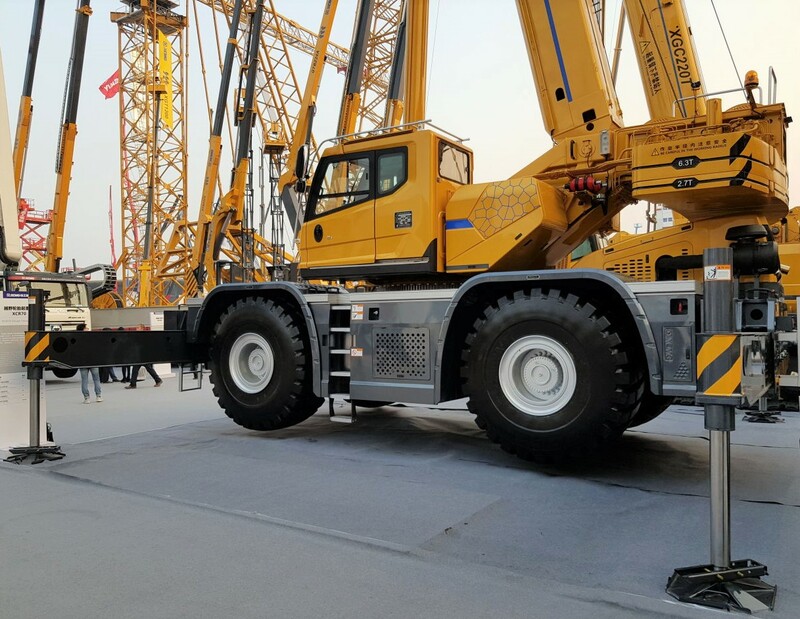 XCMG released the world tallest boomlift at 58m working height. 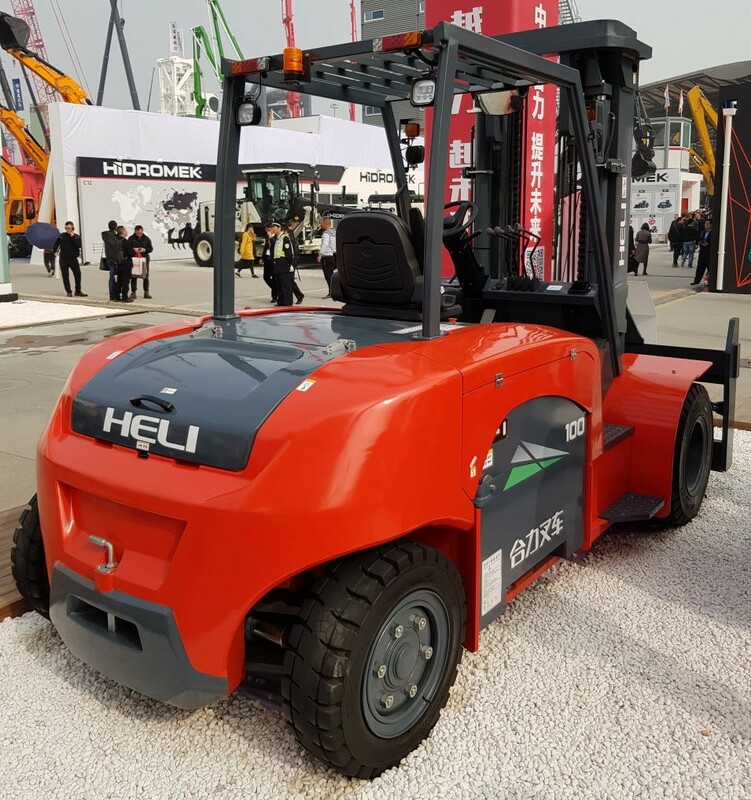 On the CHL/Heli stand an Italian designed ten tonne electric forklift. 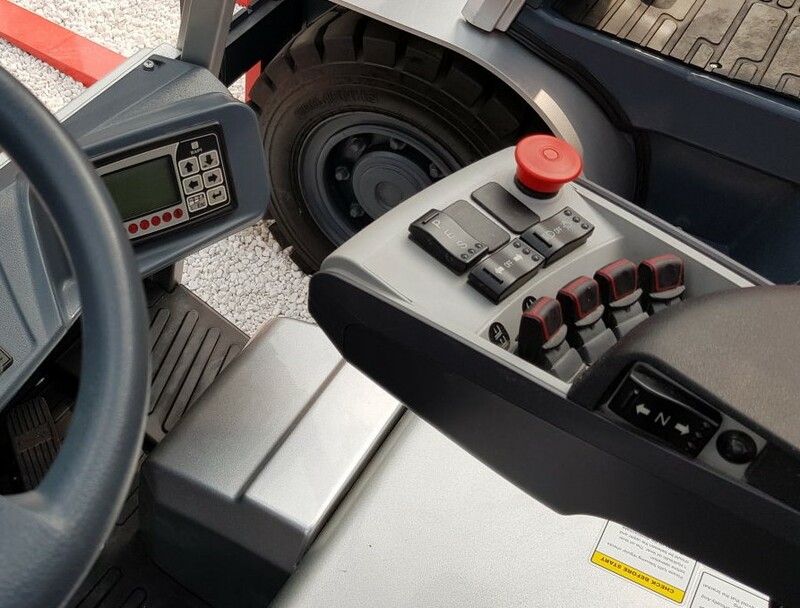 The latest 3.5 tonne electric foklifts have fingertip controls and direction changing integrated into the drivers armrest. Mantall also had a large display at the show. The new release 8m working height crawler scissor. We should have these in New Zealand next year. 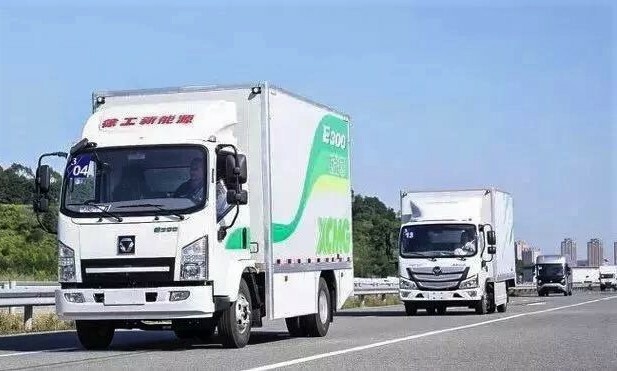 A shot from the electric truck competitions in Shenzen with the XCMG E300 leading the way. 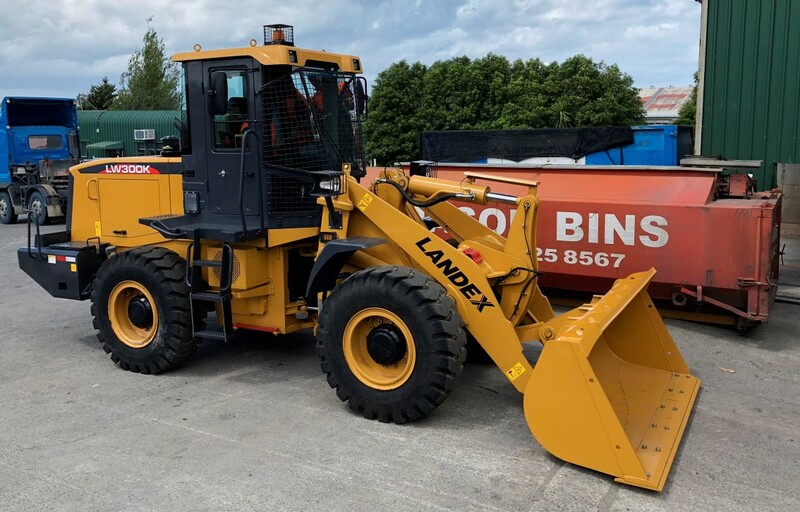 Meanwhile back at Landex some of this month’s deliveries. 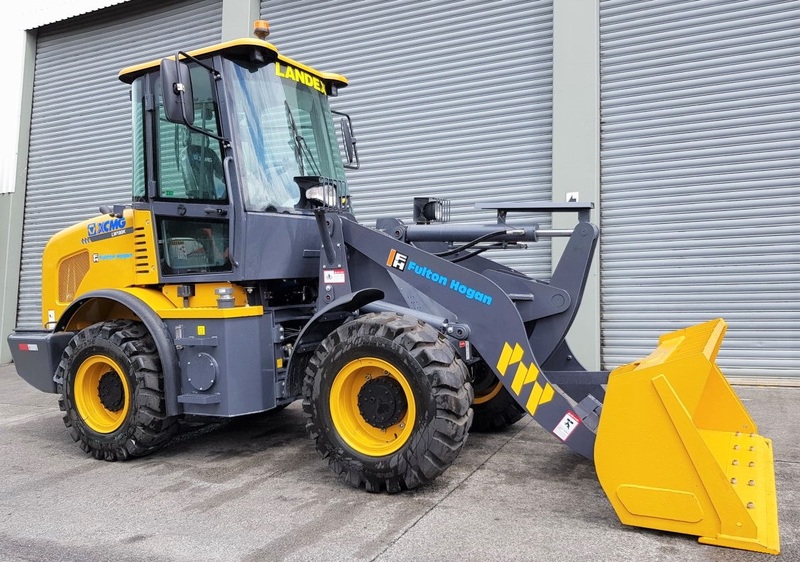 Three more XE80N ready to truck to Focus Construction in Auckland. This is the second LW300K to go to work for Northland Waste. This one has windscreen protection grills fitted and will be swapped to low profile solid tyres. Another LW180K for Fulton Hogan ready to truck to Whangarei. 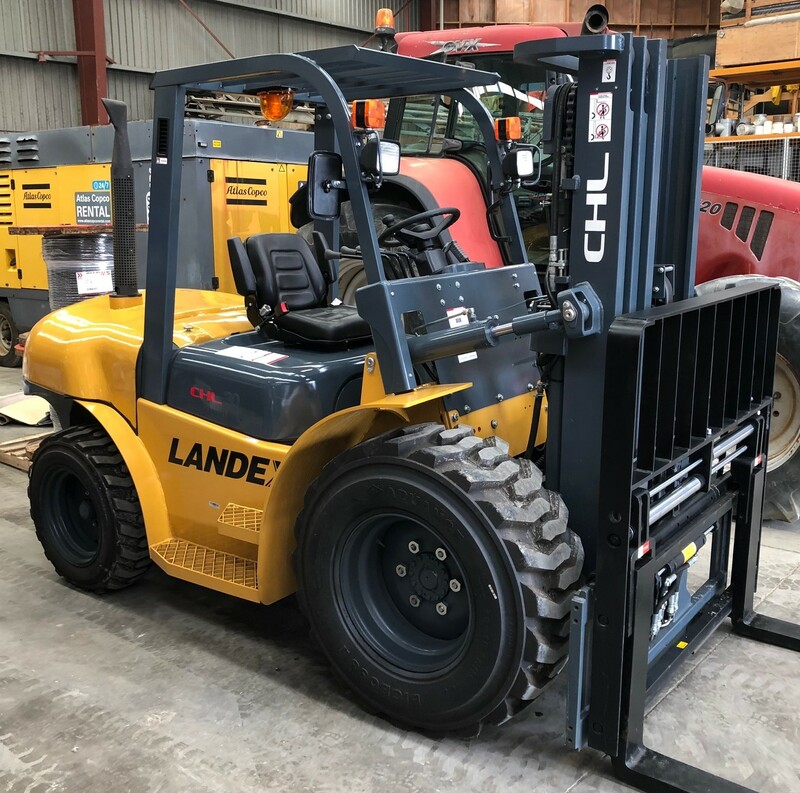 Drillforce have taken delivery of their new rough terrain three tonne forklift, this one with fork positioning.